On one slice of bread, smear the peanut butter. 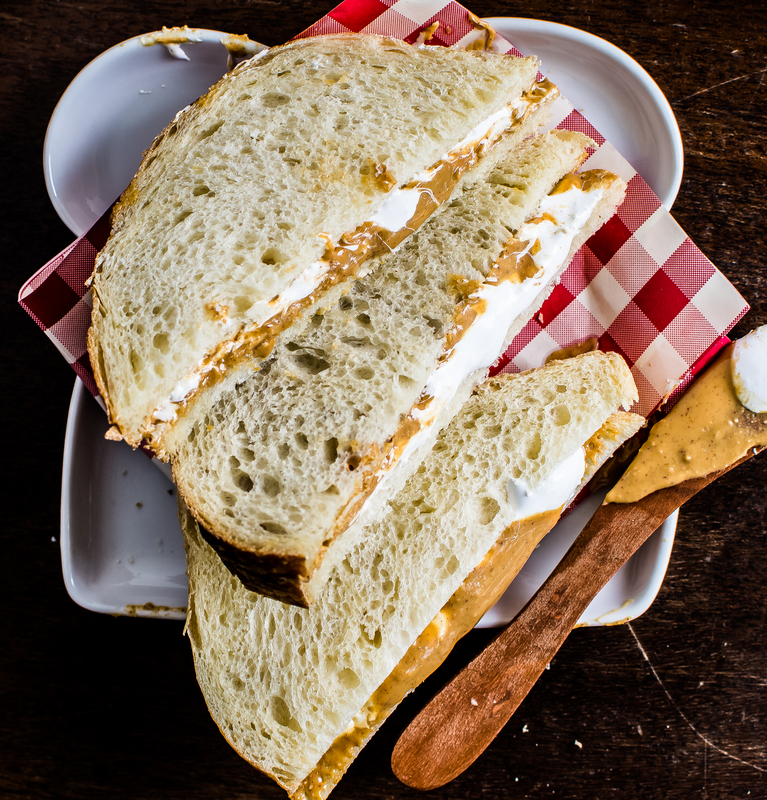 On the second slice of bread smear the marshmallow fluff. Combine the two slices together. Slice in half or keep whole. This entry was tagged A Pleasant Little Kitchen peanut butter marshmallow fluff sandwich, dallas food blog, dallas food blogger, homemade marshmallow creme, homemade marshmallow fluff, how to make marshmallow fluff, peanut butter marshmallow fluff sandwich, texas food blog, texas food blogger. Bookmark the permalink.